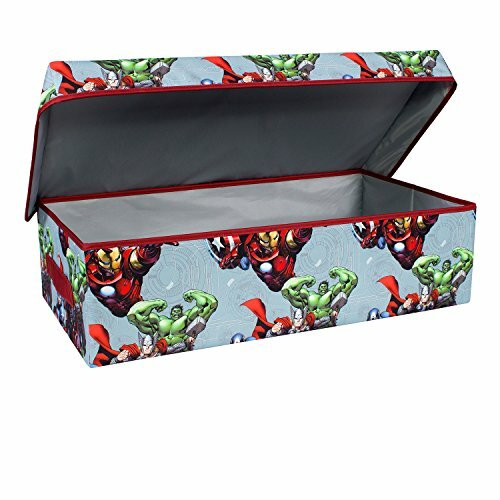 BRILLIANT LICENSED ART WORK – Our collapsible slim toy chest features the best artwork from Marvel. 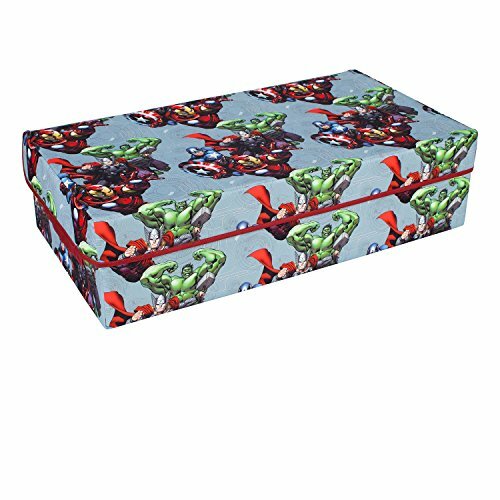 Different characters includes Spiderman and Avengers. Printed on high quality 300 denier, these graphics are vibrant & rich. These collapsible toy chests are great for kids bedrooms and playroom. Mix & match different characters for the best looking kids bedroom decor. 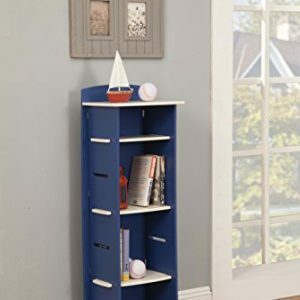 VERSATILE & EASY KIDS TOY STORAGE – Our collapsible toy chest stores stuffed animals, blankets, toys, games, legos, toy cars, children’s clothes, video games, and more. Measuring 27.5″ x 15″ x 7.5″ when assembled, there is ample storage space. The 300 denier material ensures durability & strength for storage. Two reinforced extra strong side handles make transporting this chest easy. 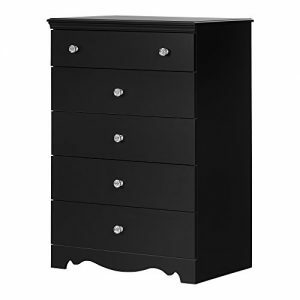 The chest lays flat for storage under your bed, in the closet, or in the playroom. 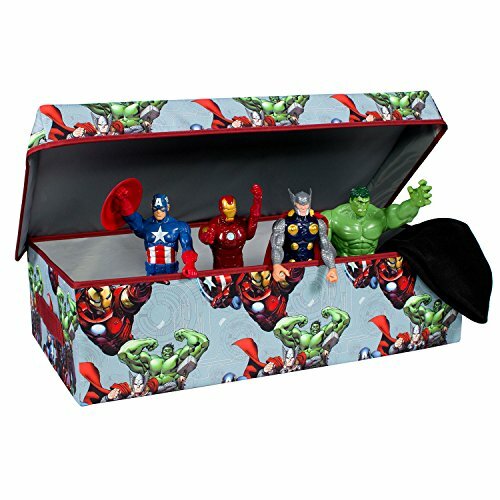 100% MONEY BACK & RETURN GUARANTEE – If you are not satisfied with our Marvel collapsible toy chest, the Everything Mary team is ready to help. We want our customers to be delighted with Everything Mary storage products, so we offer a 100% no questions asked money back guarantee on every toy chest purchased. We have a loyal and ambitious customer service team who is eager to help with any questions about our storage products imaginable. 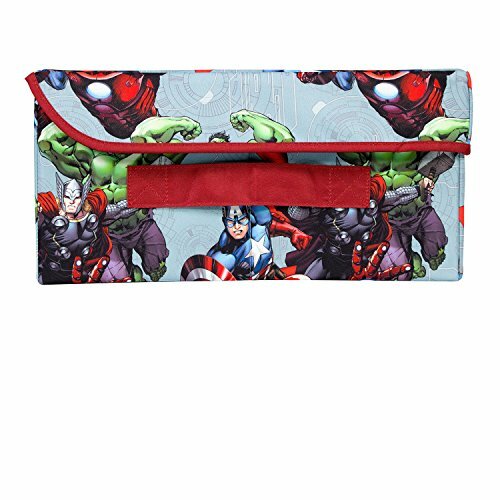 Our Avengers Slim Collapsible Bin is the perfect organizational tool for any room. This bin is the perfect size for your child’s bedroom, as it fits perfectly under all standard size kids beds. The storage possibilities are endless with this bin. Store toys, blankets, extra bedding, or anything inside of this tote. This bin is the next fun addition to your child’s room. 100% MONEY BACK AND RETURN GUARANTEE – If you are not satisfied with our Disney, Marvel, and DC Comics clothes hampers, the Everything Mary team is ready to help. We want our customers to be delighted with every purchase from Everything Mary, so we offer a 100%, no questions asked, money back guarantee on every clothes hamper purchased. We have a loyal and ambitious customer service team who is eager to help with any questions regarding our bedroom storage products. THE REASON TO CHOOSE EVERYTHING MARY – Everything Mary has been featured on QVC, Oprah’s Favorite Things, and has over 10+ Amazon Choice Award accolades. Everything Mary has been in business to help people love what they do and love where they live for over ten years. We do this by providing our customers thoughtfully designed, well-crafted storage solutions to help organize their homes and their lives. We offer storage solutions for every need and every room in your home.